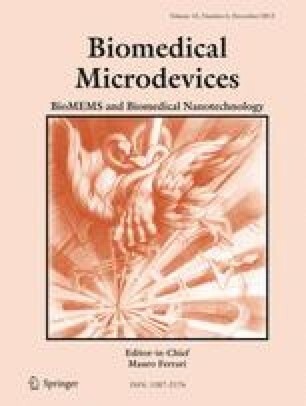 Flexible bioelectronics encompass a new generation of sensing devices, in which controlled interactions with tissue enhance understanding of biological processes in vivo. However, the fabrication of such thin film electronics with photolithographic processes remains a challenge for many biocompatible polymers. Recently, two shape memory polymer (SMP) systems, based on acrylate and thiol-ene/acrylate networks, were designed as substrates for softening neural interfaces with glass transitions above body temperature (37 °C) such that the materials are stiff for insertion into soft tissue and soften through low moisture absorption in physiological conditions. These two substrates, acrylate and thiol-ene/acrylate SMPs, are compared to polyethylene naphthalate, polycarbonate, polyimide, and polydimethylsiloxane, which have been widely used in flexible electronics research and industry. These six substrates are compared via dynamic mechanical analysis (DMA), thermogravimetric analysis (TGA), and swelling studies. The integrity of gold and chromium/gold thin films on SMP substrates are evaluated with optical profilometry and electrical measurements as a function of processing temperature above, below and through the glass transition temperature. The effects of crosslink density, adhesion and cure stress are shown to play a critical role in the stability of these thin film materials, and a guide for the future design of responsive polymeric materials suitable for neural interfaces is proposed. Finally, neural interfaces fabricated on thiol-ene/acrylate substrates demonstrate long-term fidelity through both in vitro impedance spectroscopy and the recording of driven local field potentials for 8 weeks in the auditory cortex of laboratory rats. The online version of this article (doi: 10.1007/s10544-013-9782-8) contains supplementary material, which is available to authorized users. The authors would like to thank the FDA for the use of the Bruker Contour GT-K1 3D Optical Microscope. The opinions and/or conclusions expressed are solely those of the authors and in no way imply a policy or position of the Food and Drug Administration. This material is based partially based upon work supported from several sources: the National Institutes of Neurological Disorders and Stroke 5R01DC008982; the National Science Foundation Partnerships for Innovation and Graduate Research Fellowship under Grant No. 1147385; FUSION support from the State of Texas.